What Qualities do Successful Realtors Possess? 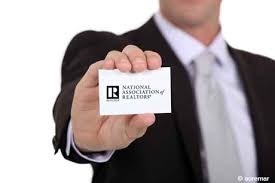 A real estate agent is highly accountable for their own success. As with all sales positions, the more time invested in money producing activities, the more success an agent will see. There are certain qualities though that are keys to Realtor success. It is important for real estate agents to have written goals for the year. In turn, the larger goals should be broken down into smaller more manageable goals such as quarterly, monthly, weekly and daily and they should be reviewed often to make sure they are on track. Without goals, it is like traveling to an unknown destination. Goals help to stay on course. Self-starters are professional achievers who start each day with enthusiasm. They often have a checklist of tasks they would like to complete for the day. Self-starters also take the initiative in finding solutions for their clients rather than waiting for their clients to inquire about options. Another quality that many high producing Realtors have is to be driven. While self-starters take the initiative to climb the first step in the career ladder, driven people are those who have the mindset to go all the way to the top. As such, they create goals at each level and are never satisfied being as good as last year. Having these qualities will give a Realtor a competitive advantage in the industry. Of course, success depends upon the amount of time and effort one invests in their career. These qualities though will make sure your time is spent wisely!